One or more photo(s) has been virtually staged. Live the Downtown lifestyle, close to everything Orlando has to offer with NO HOA! This spectacular Mid-Century Gem awaits you nestled in the Ardmore Park Community in the trendy Hourglass District! 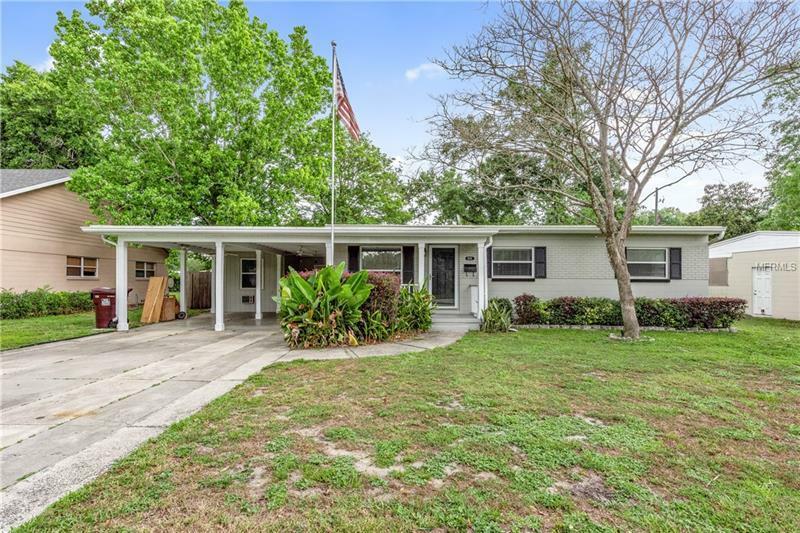 This home features a NEWER ROOF (2016), CROWN MOLDING throughout, a DOUBLE CARPORT, HARDWOOD FLOORS and a fabulous FLORIDA ROOM perfect for entertaining friends and family. Whip up your favorite culinary creations in the UPDATED KITCHEN boasting beautiful WOOD CABINETS, ABUNDANT COUNTER SPACE, CUSTOM TILE BACK SPLASH, a pass through to the Florida Room and an EAT IN AREA. The cozy MASTER RETREAT features HARDWOOD FLOORS along with ABUNDANT WINDOWS allowing for plenty of natural light to shine in. The MASTER BATHROOM and GUEST BATHROOM both offer custom TILE SURROUNDS and UPDATED FIXTURES. Gather with guests in the SCREENED LANAI, enjoy family cookouts on the CONCRETE PARTY PAD or sit around the FIRE PIT and take in the lush landscape of the EXPANSIVE, FULLY FENCED BACKYARD. The highly desirable Hourglass District is designed with locals in mind boasting a crafted signature look and offers a pedestrian friendly environment. Conveniently located mere minutes from Lake Como Park, Lake Davis, Lake Cherokee, Greenwood Wetlands Park, 903 Mills Market CafÃ© and so much more shopping and dining experiences! Get anywhere you want to go with easy access to I-4 and 408. Live a lifestyle of comfort and convenience in the highly desirable community of Ardmore Park!